Jessying - Malaysia Beauty Blog - Skin Care reviews, Make Up reviews and latest beauty news in town! 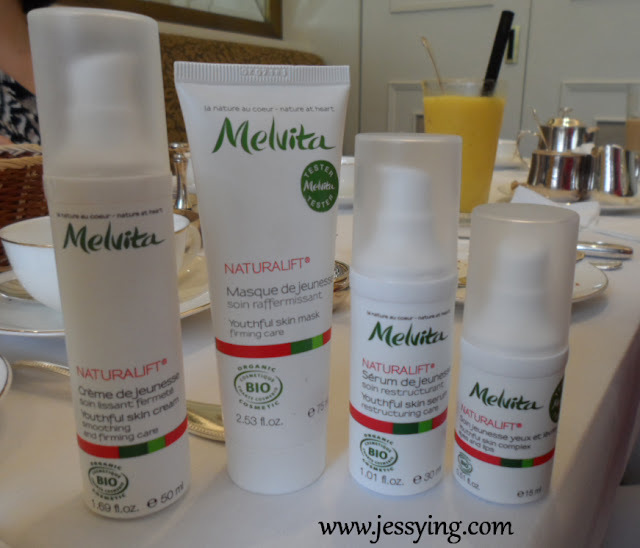 : Finally Melvita a brand from France is in Malaysia, an Ecocert certified organic skincare brand! Finally Melvita a brand from France is in Malaysia, an Ecocert certified organic skincare brand! 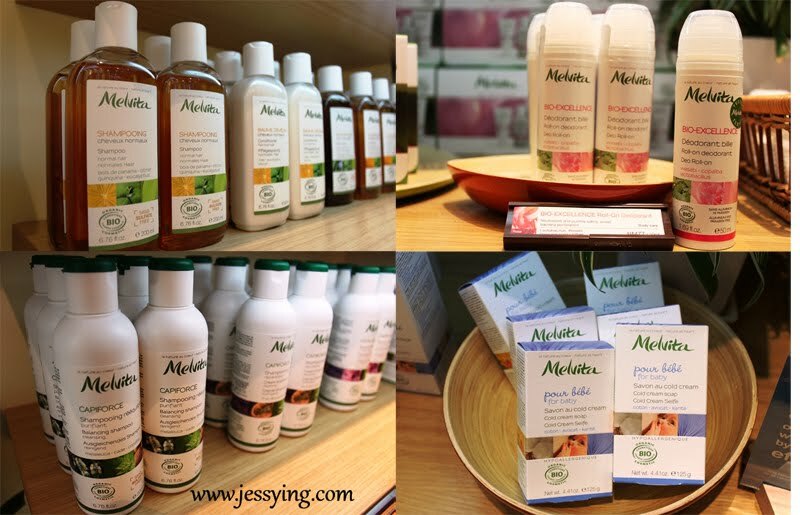 Have you heard of Melvita before ? Well they are pretty new in Malaysia! 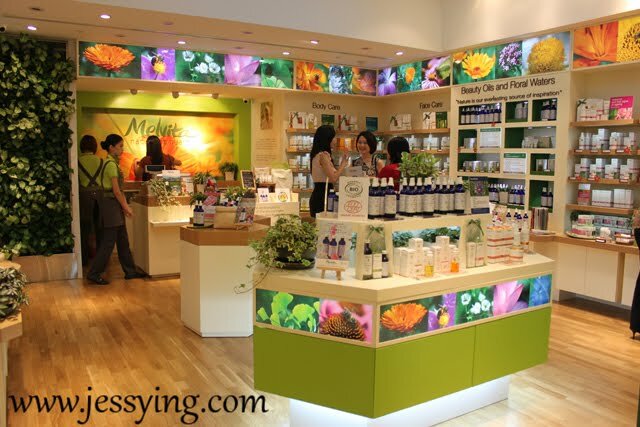 Melvita officially opened its first flagship boutique in Suria KLCC back in 25 October 2011. Well basically you cannot help not to notice the green striking entrance next to the Isetan entrance at Concourse level. 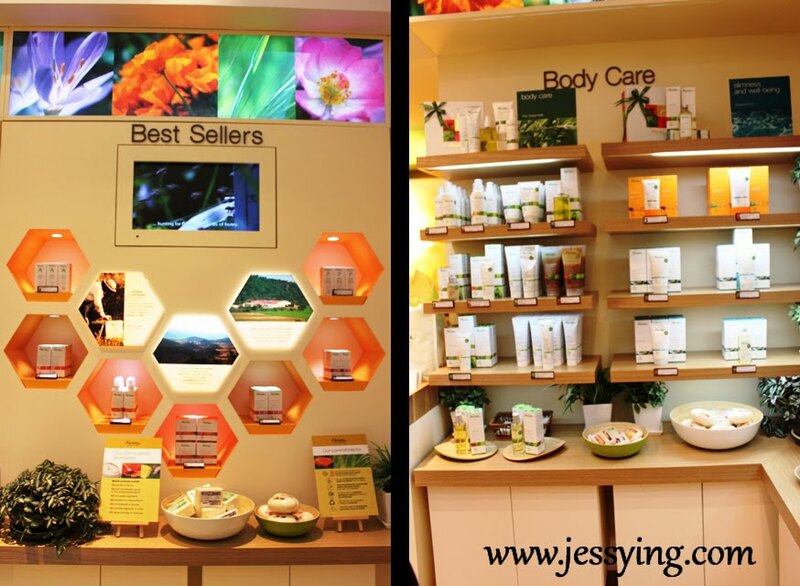 If you have notice, they have blue sky ceiling in their store to give consumers a comfortable and relaxing shopping environment. 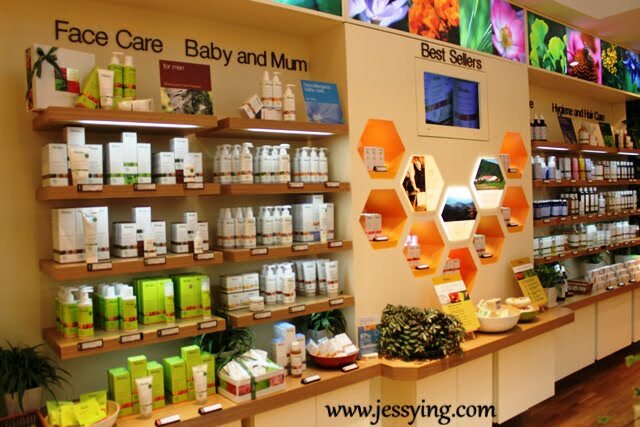 And at the corner of the left hand side of the store, you will see a wall of green plants and bear in mind these are REAL plants and in fact some of these plants are the main ingredients of the products!!! 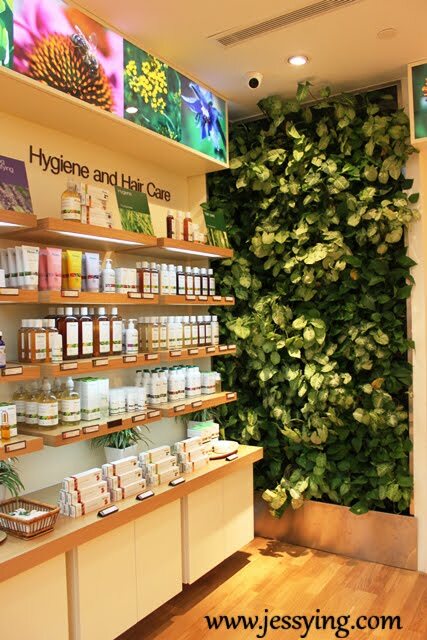 I think this is my first time seeing real plants being planted inside shopping mall and now I bet Melvita definitely has the freshest air among the store in KLCC! 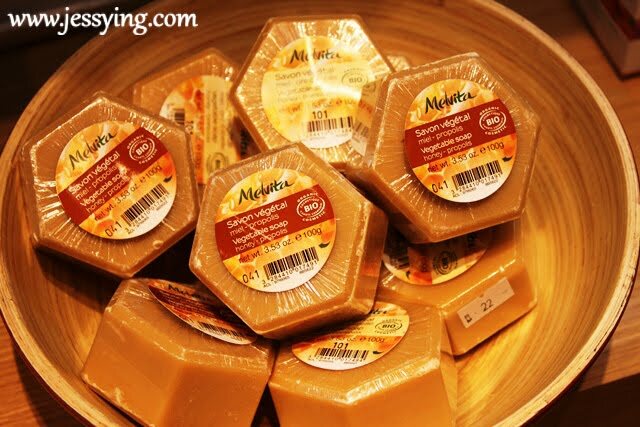 Well Melvita is a brand from France was founded in 1983, symbolizes “(MEL) honey” and “(VITA) life”. Melvita's commitment to ecology and nature originates from its founder, Bernard Chevilliat, a biologist and beekeeper and a great lover of nature and beauty. 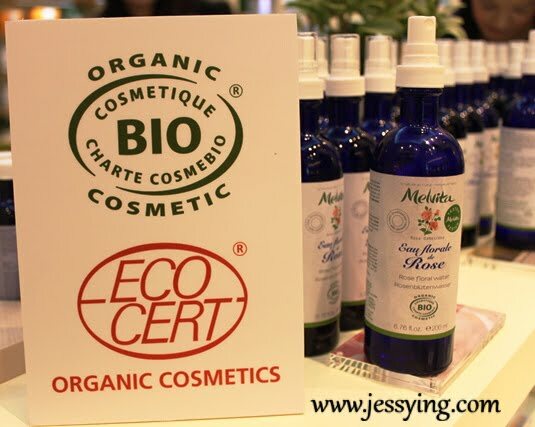 In 1991, Melvita is one of the first skincare brands in France to be certified by ECOCERT France, and fulfill the standards of COSMEBIO France (Professional Association for Ecological and Organic Cosmetics). 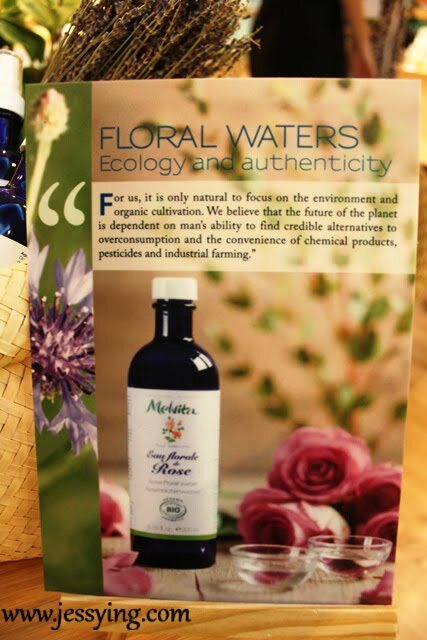 Plant extracts and natural oils are quite common for organic skincare and this is the first time I came to know about floral waters. 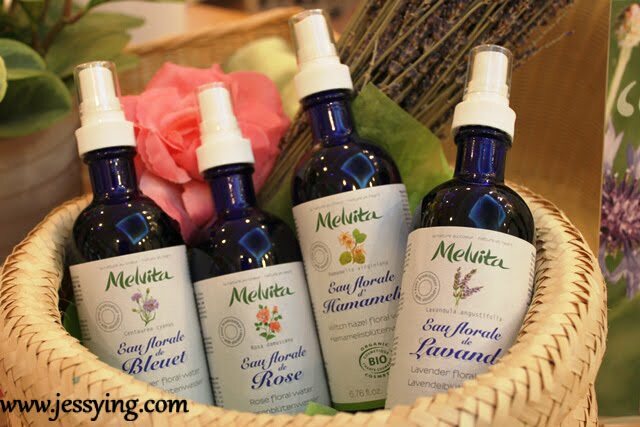 Melvita offers floral waters since they started their business. Floral waters are obtained by distillation are the most subtle, gentle expressions of plants. The water is in some way energised and contains the soul of the flowers. 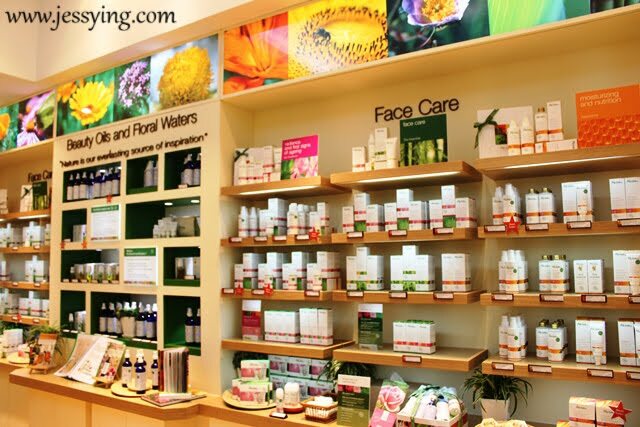 A wide range of products for face care. 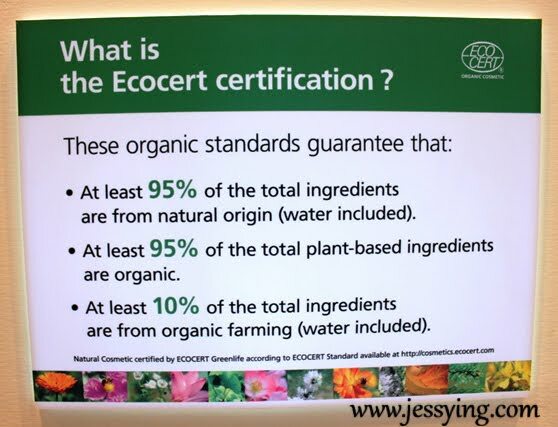 The price is quite affordable considering it is an organic products! The best sellers are locaed at the bees hive look-alike display. And of course they have body products too! Honey Pollen Hexagon Soap (RM22) is their first produced product for sale. It is enrichedwith active ingredients from the hive and vegetable oils, its rich and extra-gentle foam makes it an ultra-protective care product. Beauty oils which are extracted using cold pressed method from the fruits or seeds of plants is something I wanted to try. I was always told, beauty oil gave better effect than cream or lotion. And in Melvita, beauty oil is priced at RM137 for 50ml which is quite an affordable price as the quantity needed to appy whole face is relatively little. 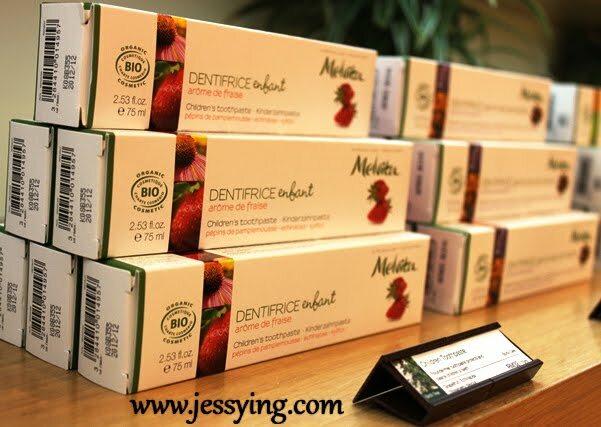 First time I came across organic toothpaste for childen! 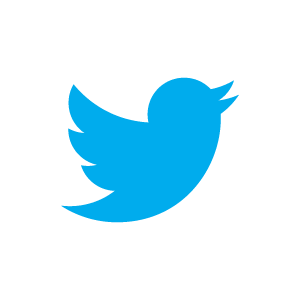 How interesting ? Maybe I will buy this to try when my toothpaste is finished! Some of the products which I wanted to try! They actually have a wide range of scrubs and if you know me personally, I'm a scrub fanatic !!! Well I think I will check the scrub out someday and give a try! 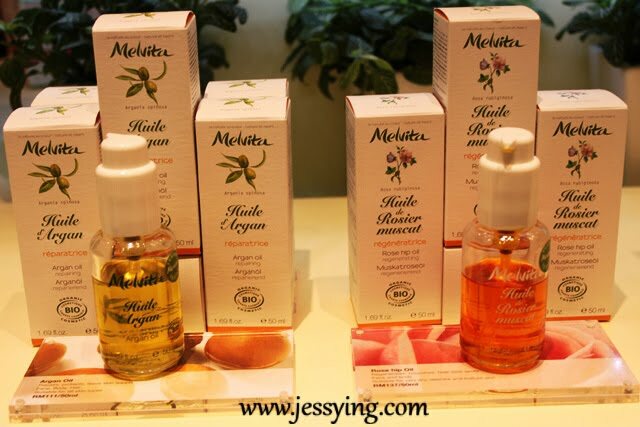 Another interesting thing that I spotted is that Melvita has slimming oil (RM120/100ml).... I wonder whether it works and should I should give a try! If you have no idea what to try, why not get this starter kit which consists of 6 products to try at RM130. Quite a good deal with a full set of products to try to see if it works on our face without buying the full size. 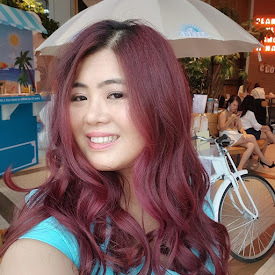 Oh before I forgot, Melvita is going to launch a new youthful range called Naturalift Hibiscus Skin Renewal Range in January 2012, which is suppose to make your skincell renew and looked youthful (in another word - prevent anti-aging). 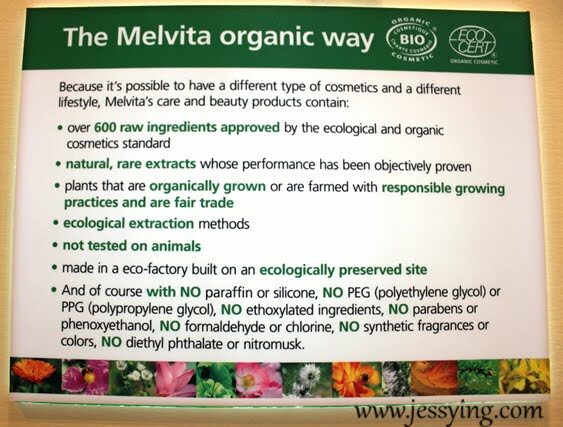 Basically Melvita is offering “Green-Botox” organic natural anti-aging solution. The main ingredients in NATURALIFT Hibiscus Skin Renewal Range include various flower seeds with anti-aging functions, including hibiscus, pomegranate, rose hip, borage, Camelina, etc. Well I would be trying some of their products and will do a review once it's ready! 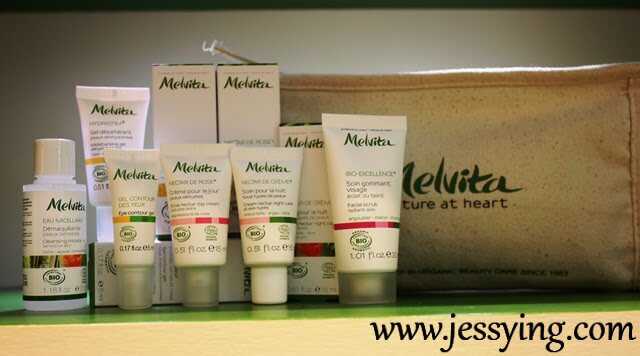 Well have you guys try any products from Melvita, if you did ... share with me here what have you tried or plan to try! 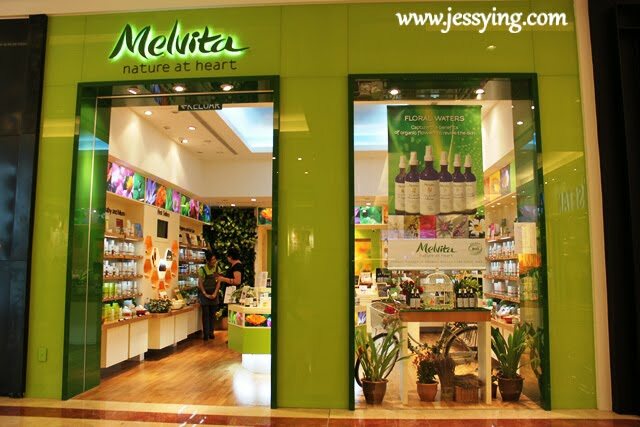 And more recently, Melvita has opened another store in 1Utama and now do I hear some cheer from the PJ folks? Not bad, new brand! Do make a comparisons between Body shop yea?